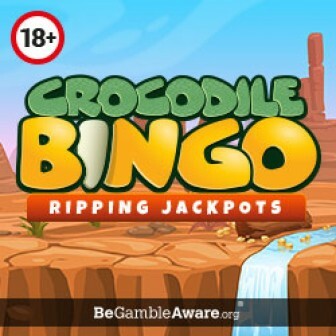 If you are hunting for established bingo sites that accept 5 pounds deposit, then Betfair Bingo could be your ideal destination. In 2013, the site was launched on Playtech (Virtue Fusion) software. 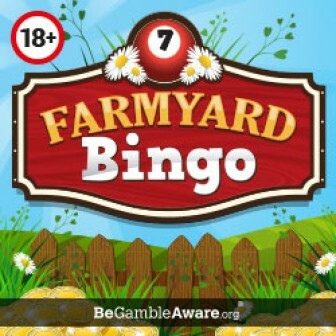 This site is licenced and regulated by the Alderney Gambling Control Commission and the Gambling Commission. Through sites live board I came to know that 3095 players were online when I was writing this review. This figure is encouraging enough to get you registered. 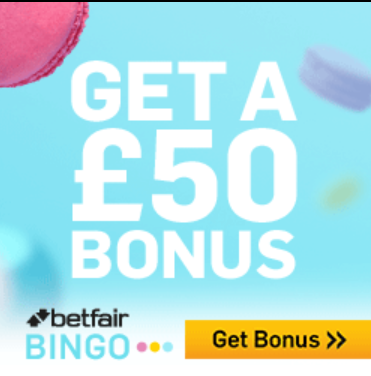 Betfair Bingo has got many surprises for fun and bonus loving players. You can play in special bingo rooms like House of Cards, House of Mirrors, The Big Dipper, Roller Coaster, The Big Wheel, Deal or No Deal. Join Betfair if you love to play high-quality games that are pocket-friendly as well. Payment Methods- Credit Cards (Visa, MasterCard), Debit Cards (Visa, Delta, Solo, Visa Electron, MasterCard), Neteller, Moneybookers, Paysafecard. As per the exclusive welcome offer, players who will register through us will get £50 free bonus on deposit of £10 pounds.